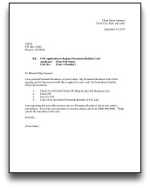 Do you have a sample I-90 cover letter? You are not required to use a cover letter when filing Form I-90, Application to Replace Permanent Resident Card. However, an I-90 cover letter can be helpful if have unusual circumstances or need to clarify the details of your case. CitizenPath has created a sample I-90 cover letter for several situations. There for four cover letter samples below. Select the one that most closely matches your need and modify it for your use. Use these sample cover letters for Form I-90 as a guide. Do not submit any of these letters without updating them to fit your specific situation. It’s not mandatory to submit a cover letter when you file Form I-90, but a cover letter can help to clarify the purpose of the application and why your application may require special attention. 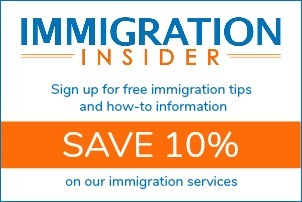 You should generally file Form I-90 with the Phoenix, Arizona address as provided on USCIS.gov/i-90. You may write your letter using the same address. After you have prepared your Form I-90, Application to Replace Permanent Resident Card, you can refer to the custom filing instructions from CitizenPath for the USCIS mailing address, filing fee and additional documents to submit.